The European Commission has put together a series of measures that would help Europe fight its corner in the electric vehicle battery sector, including the ability to mass-produce battery cells. Following up on the EU Batteries Alliance launched in October 2017 by Maroš Šefčovic, EU Commission Vice-President in charge of the Energy Union, the Battery Action Plan sets out a number of EU measures which can help nations and the European industry at large become a world leader in battery technology. These plans aim to set up investment in research and innovation for electro-mobility and stationary applications including the use of EU financing mechanisms. 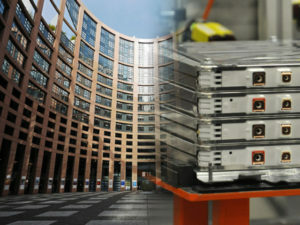 These would be used to support scaled European battery cell manufacturing and a full competitive value chain in Europe. The measures also include a focus on securing access to raw materials from resource-rich countries outside the EU and to reduce dependency on critical raw materials. Other measures include developing the necessary skills for the new manufacturing processes and emerging technologies and putting in place a supportive EU regulatory framework including the reinforcement of the collection and recycling schemes in the Batteries Directive. The plans form part of the so-called third mobility package that also includes plans to mandate new vehicle safety technologyand set a new EU target to halve road deaths.